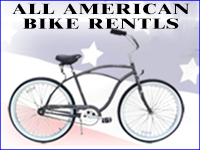 All American Bike Rentals serving the Island for over 25 years with a wide selection of top condition bicycle types and attachments for adults and children. Free delivery and pick up. Free lock and basket per bike. 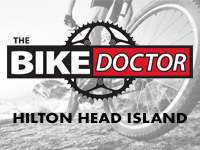 Bike Rentals for Scenic Hilton Head Island, pay less for bike rentals including Beach Cruiser rentals and Mountain Bike rentals from our bike shop on Hilton Head Island. 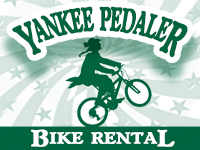 Since 1986, Yankee Pedaler has been offering you and other tourists excellent customer service and inexpensive bike rentals and sales including the best in quality Beach Cruisers and Mountain Bikes. PATRIOT BIKE RENTALS is a family-owned-and-operated bike rental shop on Hilton Head Island, SC, that offers a wide array of durable name-brand bikes at affordable bike rental rates. Hilton Head Island, South Carolina has miles of bike paths, however, our beach bikes are great for riding on the sand too! 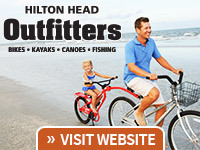 Bike Rentals for Scenic Hilton Head Island, pay less for bike rentals including Beach Cruiser rentals and Mountain Bike rentals from our bike shop on Hilton Head Island. 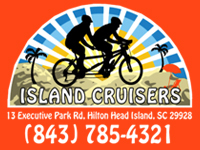 Since 1986, Island Cruisers Bike Rental has been offering you and other tourists excellent customer service and inexpensive bike rentals and sales including the best in quality Beach Cruisers and Mountain Bikes. 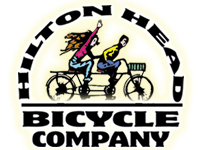 Hilton Head Bikes To Go is a family-owned & operated bike rental company. 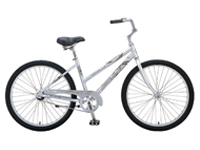 We have bikes to fit all ages as well as beach and baby gear. All rentals include free baskets, locks, delivery & pick-up. 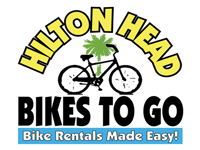 Upgrade your vacation today with a quality bike rental from Hilton Head Bikes To Go! 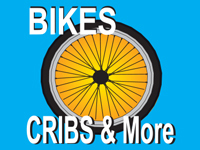 Specializing in Hilton Head Island, SC bicycles, bike rentals and bicycle sales. Years of experience renting high quality bicycles and dedication to personalized service guarantees your Hilton Head Island vacation will be a memorable and rewarding experience. We feature free delivery and pick-up on the island, free locks and free baskets. 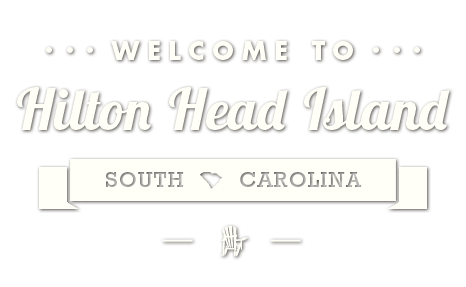 Hilton Head Island is known as a family-friendly vacation destination. With the area’s natural setting and 50-plus miles of multi-use trails, biking is one of the best ways for the entire family to enjoy wholesome family fun and fresh air as well as all the beauty and amenities the island has to offer. Providing well-maintained and clean biking trails also demonstrates Hilton Head Island’s commitment to environmental preservation. So, use this opportunity to take in the sights and sounds of Hilton Head Island with a relaxing bike ride. 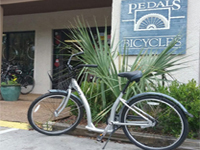 Pedals Bicycles has been Hilton Head Island’s premier bike rental service for over 8 years now. We rent beach cruisers for adults and children in many different sizes, child seats and kiddie karts, ally cats, jogging strollers, mountain and hybrid bikes, adult tricycles, and more to make your vacation complete. We are your family’s one-stop-shop for all of your vacation needs – offering Bikes, Baby Items, Beach Accessories, Rollaway Beds & More. Vacation Comfort Bike Rentals is a fully-insured, family owned and operated rental company providing clean, top-quality equipment and accessories for the entire family. 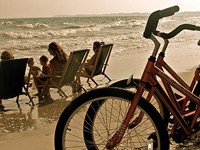 Vacation Comfort Bike Rentals will supply you with all of the accessories you will need to make your vacation on Hilton Head Island complete. LowSea Bike, Beach & Baby Rentals has a wide variety of rental items to help make your vacation on Hilton Head more enjoyable. If you are staying in North or South Forest Beach, Sea Pines, Palmetto Dunes, Singleton Beach, Shipyard or anywhere on Hilton Head, our free delivery makes it easy to make the most of your vacation time. Our rentals include bikes for the entire family, full size cribs, high chairs, heavy duty beach umbrellas, beach chairs and much more!